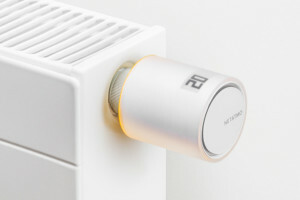 French company Netatmo has launched the latest addition to the smart home – an IoT-enabled radiator valve. The product is claimed to help users to make major savings – up to 37% – on the energy they use to heat their homes by controlling heat on a room-by-room basis. Netatmo, which has previously launched products including smart security cameras and indoor climate monitors, said the new Smart Valve can be fitted on any hot-water radiator and then set a heating schedule for each room based on the habits of their occupants. Users can then customise the temperature of each room in the house from an app. Moreover, the valves have a range of features to help save energy: for instance, they are able to detect when a window is open and switch the radiator off; they also analyse external elements such as the weather and adjust the heating of the room accordingly. Netatmo claims to design all electronics and embedded software itself, and says the valves are compatible with Apple’s Homekit smart home technology and Google Home.